The age of increasing trends in technology have introduced the most unique and interesting camera for the purpose of surveillance in the shape of owl. A compact home monitoring device is known as Ulo. It has a speaker, microphone and 2 round LED screens on the eyes. 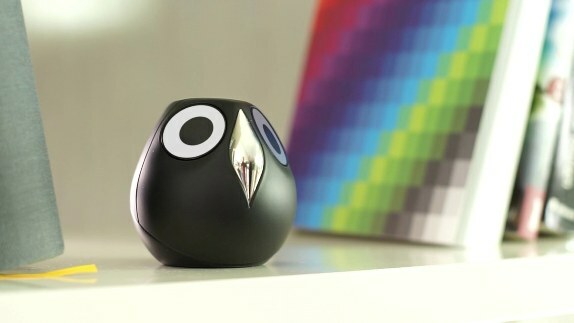 The interactive owl can also communicate with you through the range of eye expressions. A blink for snapshot, tires eyes for low battery and squinting for live video. One tap turns it off and 2 taps activates the alert mode. It has a capacitive button, round LED screen in 1.22 inches, two-way mirror including camera and the motion sensor, speakers, Wi-Fi module, orientation senor, rechargeable battery, USB Cable, microphones and adhesive magnets. Inspired by the bright, rich and expressive eyes of owls, the Ulo surveillance camera was born. The Alert Mode is easily and quickly enables during times in which the user’s smart phone is no longer a part of the Wi-Fi network. Ulo lasts 2 days on a single charge, laying flat or mounted. Added features include night vision, waterproof design, and flexible compatibility with a number of devices. It has an interactive 3D model with eye expressions and customization.